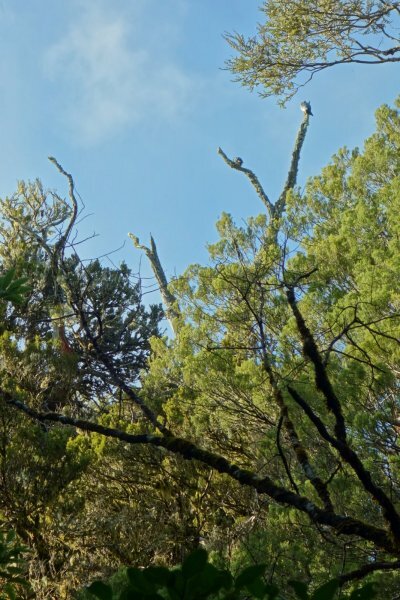 Number 100 in Burstall’s Great Trees of New Zealand , the Motu Tōtara is well known as the largest mountain tōtara (Podocarpus laetus, formerly P. hallii or P. cunninghamii) in existence. 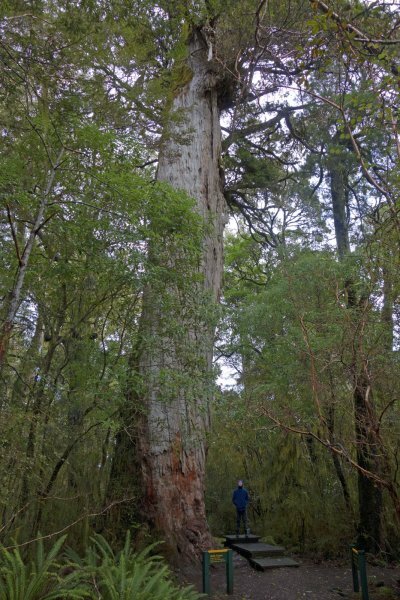 Despite being an strikingly significant and visibly aged relic of the original forest, it is not the largest mountain tōtara – that is a massive 3.6 m diameter tree at 900 m altitude on the southern slopes of the Mangakahu Valley, northeast of Taumarunui . Nor is it actually mountain tōtara. During research of his comprehensive book on tōtara, the noted botanist Dr Philip Simpson actually found the Motu Tōtara to be the “ordinary” lowland variety, P. tōtara . The tree exists in a boggy patch of podocarp dominated trees surrounded by original and recovering beech forest. A 60 m branch track leading from the short loop track to the tree goes to a group of three other tōtara of only slightly smaller sizes – 2.1, 2.4 and 2.6 m in diameter at 1.4 m, but with substantially more intact canopies. 1. Burstall, S.W. ; Sale, E.V. 1984: Great trees of New Zealand. A.H. & A.W. Reed Ltd, Wellington. 2. P. Simpson, Tōtara: A Natural and Cultural History, 2017, page 41. Highest measurement was to a dead top (and part time kererū perch). The tallest live foliage is at around 28 m.
Measured from the apparent ground level at the base of the adjacent walkway over the roots. A very old tree from its size and somewhat reduced crown. Sightseers to this remote tree also may be removing bark as a souvenir. Typical of old totara, a combination of large dead limbs and healthy foliage. 10 Jul 2018 Smillie, M.J.
A very remote tree that is easy to get to. Around 45 minutes drive north from Tuatapere, at the end of the Lilliburn Monowai Road. The last 2 km of the unsealed road enters the forest and ends at the start of the Big Tōtara Walk that leads to the tree. The 15 minute walk to the tree is flat and easy, following the old forestry road for 400 m from the small car park before entering the bush.